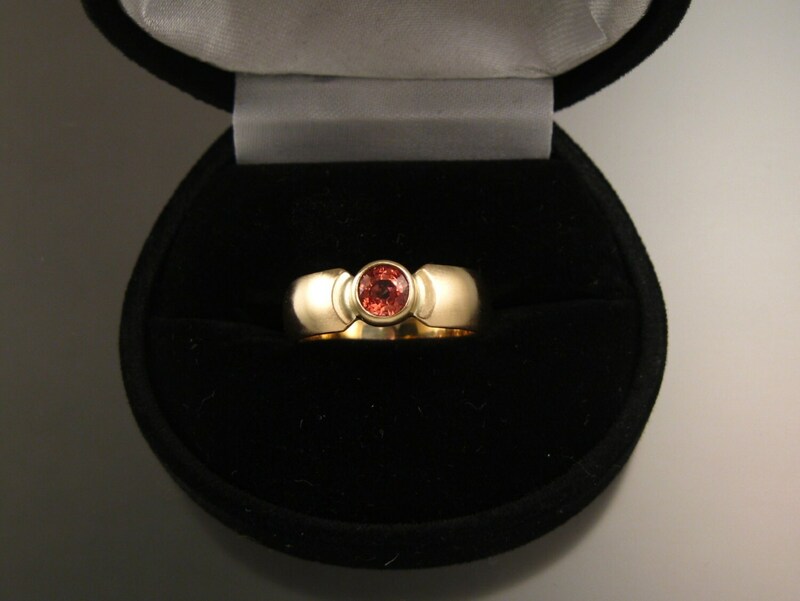 This sturdy wedding ring features a bright 5.5mm natural orange "Padparadscha" Sapphire. 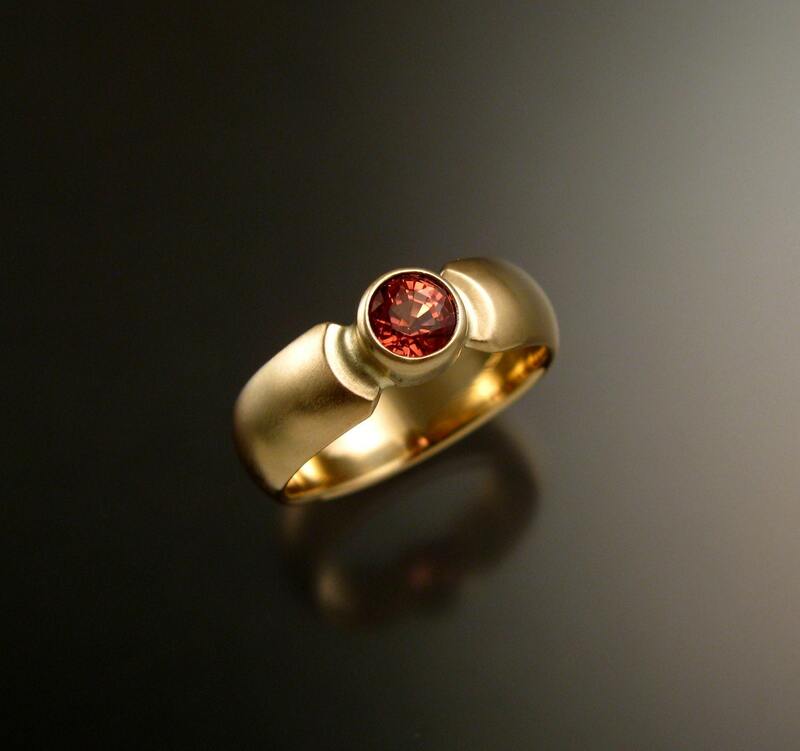 The stone is bezel set with a 2mm thick by 6mm wide half round band. 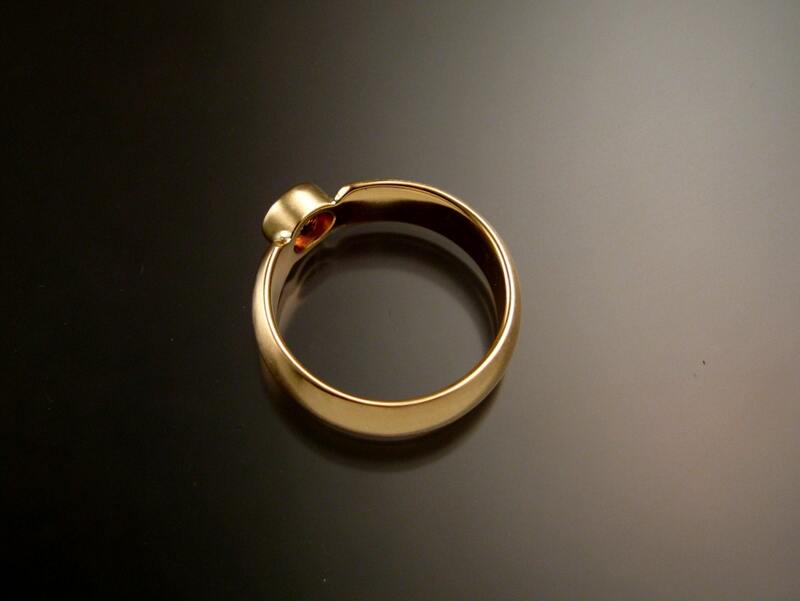 This ring has a very easy to wear low profile. 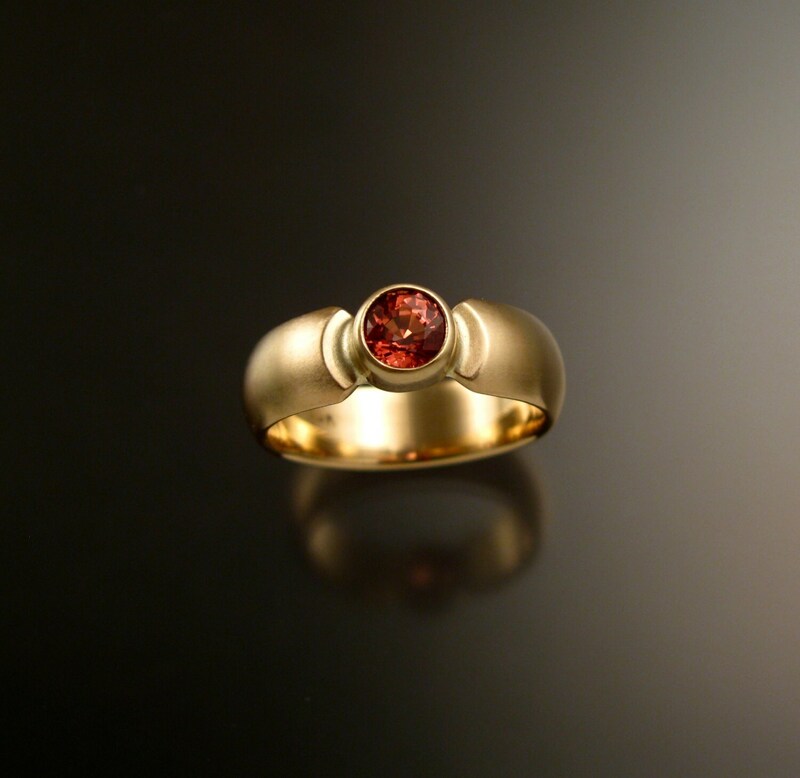 Sapphire is second only to Diamond for hardness rating a solid Mohs 9. 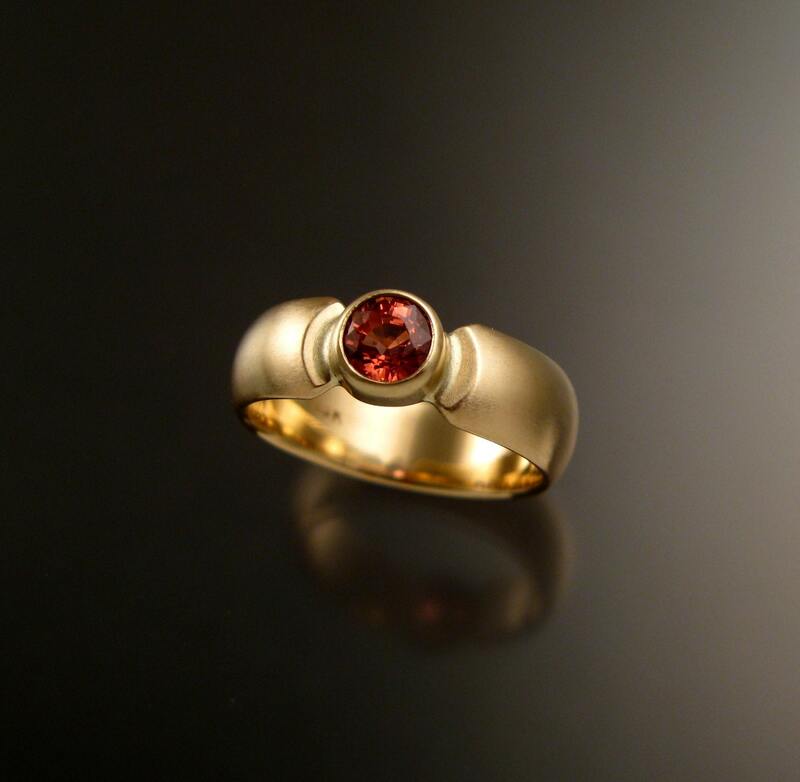 I can make this ring in any size between 6 and 11. Pictured ring is size 7 1/2 for scale. Pictured is brushed (mat) finish...I can do a buffed finish as well just ask. Specify your size and finish preference in a "note to seller" at check out.